The Spanish conquerors oversimplified Peru into three geographic regions: 1. Sierra (mountain highlands), 2. Selva (broadleaf rainforest), 3. Costa (desert coast). Although these regions do not capture the remarkable depth and variety of Peru, they can serve as geographical pillars for understanding this country. south, rising from the Costa and the Selva to an elevation between 2000m and over 6000 meters above sea level. 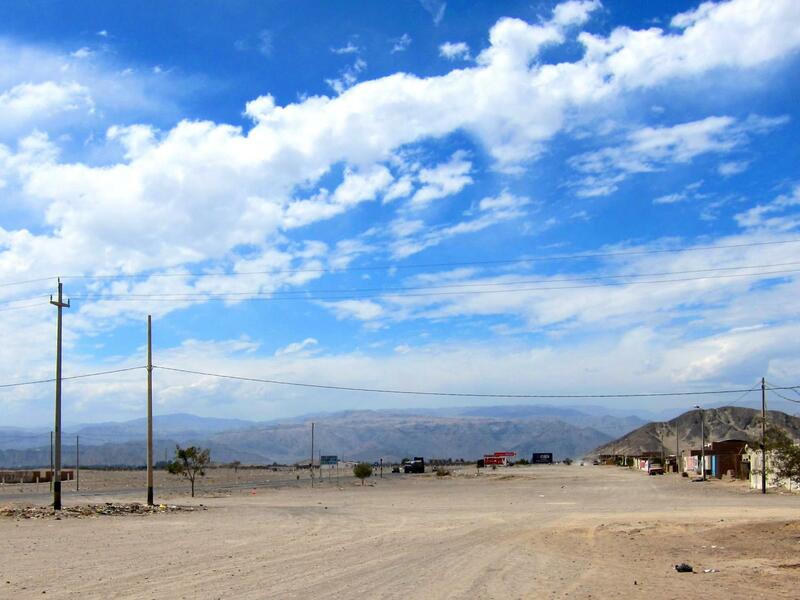 Traveling in the Peruvian Sierra is a breathtaking experience. Literally because of the altitude and also because of the edgy roads that are not for the faint of heart, but more importantly because of the incredible power of Pachamama – the mother earth - one cannot avoid feeling it. With a spectacular landscape of perpetual snow summits, fertile valleys bathed by fierce rives, or crystalline lakes, the local communities live from what the land gives. And it has been like that for more than 5,000 years. With the advent of the Inca Empire, the Peruvian Andes became the center for its cultural, social, economic and political development. The Andean culture can still be seen to these days in their music and dances, ceramics and textiles, food and religious practices, or beliefs and legends. Quechua and Aymara ethnicities are vigorous, and the languages are still widely spoken all over the cordillera. 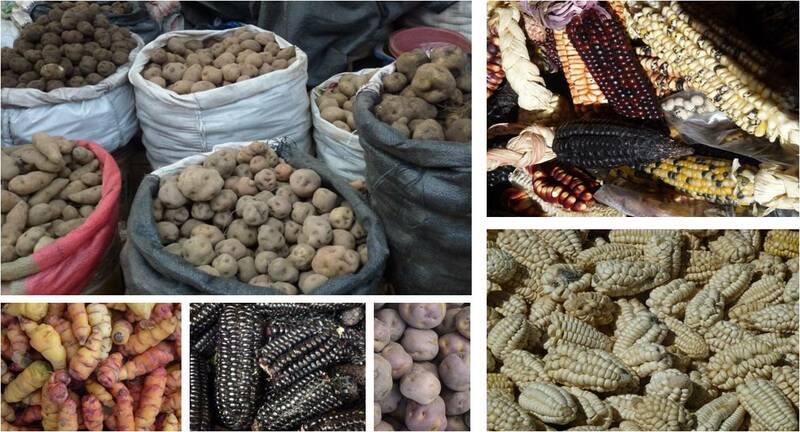 The Andean Peruvians are pretty proud of the uncountable number of potato types and maize types, in all shapes and colors. Cornelia speaks Quechua and Spanish. She is one of those people that leave you with a smile on your face, proud to have met her and happy with the stories she shared. Cornelia was on my list of “borrower verifications”, a task that Kiva Fellows do to verify the accuracy of loan profiles posted on the Kiva website. 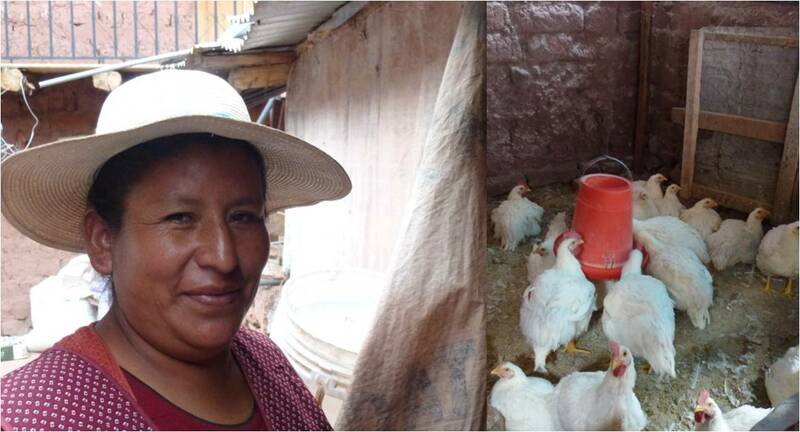 Accompanied by Boris, Arariwa’s Kiva Coordinator, we visited Cornelia at her house in Saylla, one of the eight districts of the province Cusco. With no more than 3000 inhabitants, Saylla once served as a gate to the Inca City of Cusco, but today is mostly visited by locals during the weekend for the dozens of restaurants that specialize in the famous dish “Chicharrón” (pork fried in its own fat). Cornelia was suspicious at first, but, "he who owes nothing fears nothing," and soon we started chatting over a glass of soda, a welcome gesture. Cornelia in her backyard with her chickens. Cornelia remembers well her first loan with Asociación Arariwa more than 10 years ago. It was a $100 loan to buy breeding guinea pigs. She started with one male and 4 females. Cornelia knew she had to raise a lot of them to make a business out of it. “My husband said that I was taking food out of our kids mouth, because I didn’t want to sell the guinea pigs, I just want to raise more and more”. Time proved that she was right, and now she has on average 2000 guinea pigs. Her successful business, together with further loans from Arariwa, helped to send her two children to university and to build a new floor in the house. Today, Cornelia raises guinea pigs and chickens and sells them to the coastal town of Arequipa, where the price is better. With the help of her husband, she also rents land for agriculture and pasture to feed the small animals. Cornelia is very thankful to all lenders and proud to be part of the Kiva network, hoping to inspire other women to be financial responsible and succeed in their businesses. Representing 19% of the Peruvian population and 46% of its land mass, the Peruvian rainforest is a vast stretch of lush forests, waterfalls, and biodiversity hot-spots along tributaries of the Amazon River. There is a seemingly unlimited amount of new fruit varieties, zoological wonders (pink dolphins), and dew point peaks. Most small towns are characterized by tin-roofed wooden dwellings, decent public infrastructure, and a large central plaza de Armas (public park in the city center). Home to many indigenous tribes, this sticky region also touts the major metropolitan areas of Tarapoto, Pucallpa, and Iquitos. 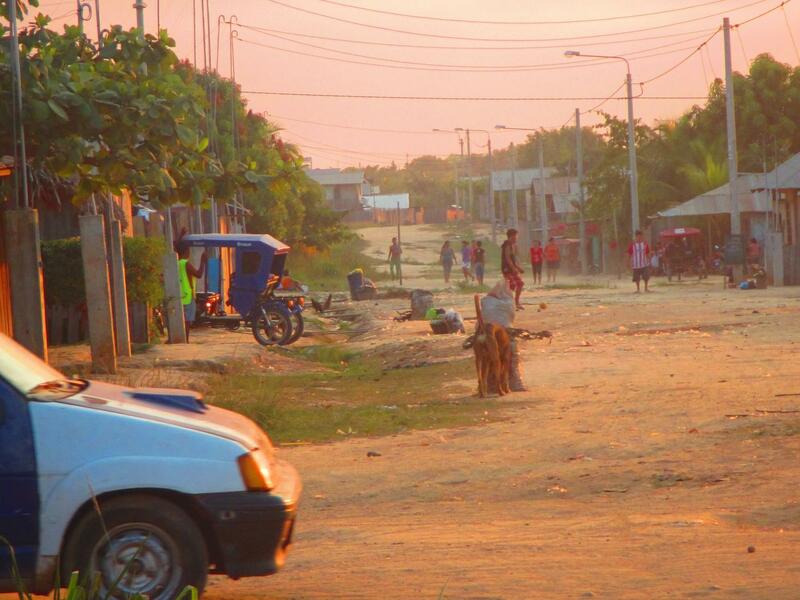 The people are proud of their cuisine and love to play volleyball after a long day working in the heat. Don Oscar and his wife live in the small village of Aucayacu, Peru. This lush valley was once a cradle for cocaine cultivation and illicit drug trafficking. Furthermore their hometown witnessed consistent violence from the Maoist insurgency group known as, “the Shining Path” throughout the last three decades. Despite having lived through many difficult times as a family, they are extremely hopeful after receiving their most recent Kiva loan. Don Oscar explained that with this loan, "we don't have to rent our land anymore...we can finally plant cacao!" Don Oscar went on to explain that on rented land, one can only plant short-term crops, because "you never know when the owner is going to kick you off his land." With a nursery of two-week-old cacao plants in the background, Don Oscar's wife further explained that, "cacao is a life-time plant," that will give fruit and profit for many years to come. 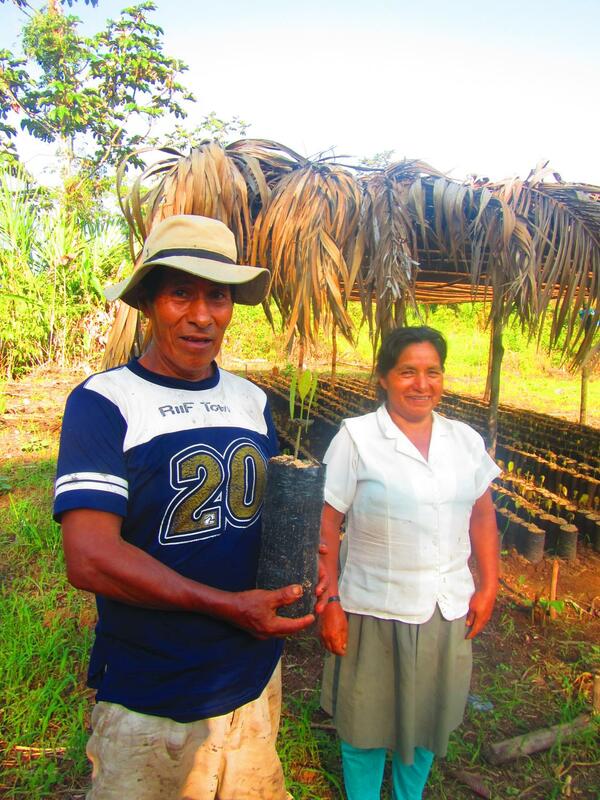 In the case of Don Oscar, a Kiva loan has provided the capital for a long-term farming investment. He can proudly support his family in an honest fashion free from the temptation of drug trafficking. From the sandy beaches of Tumbes in the north, to the wine vineyards south of Lima, continuing down the Pan-American Highway along the Pacific coast of Peru is all desert (though is situated just west of Peru's sierra, or "the mountains”). The Sechura Desert transitions into the Chilean Atacama Desert, and while the climate is very diverse along la costa of Peru, there is always a lot of sun, (well, except for Lima…). Along the central coast from Lima to Pisco to Ica to Nazca (the first leg of Peru’s “gringo trail”), there is a tranquility to the vast, empty landscape. Days are characterized by a strong, bright sun; and nights by a cool, dry breeze. Rainfall is practically nonexistent. Earthquakes, however, are prevalent, as the towns along the southern desert sit on the “Ring of Fire”. Maria is a resident of Pisco, a city hit hard by an 8.0 earthquake in 2007. The earthquake devastated the city and left many residents homeless. Maria - a 62-year-old widow, mother to 7 children, and owner of clothing rental store - worked for years cooking for workers in a local factory; she tired of that role and decided to start her own business. Maria has not had an easy life. Her husband passed away more than thirty years ago, requiring her to raise her children alone. Her 24-year-old son recently died in a work-related accident. Nevertheless, Maria keeps pushing forward to reach her goals. 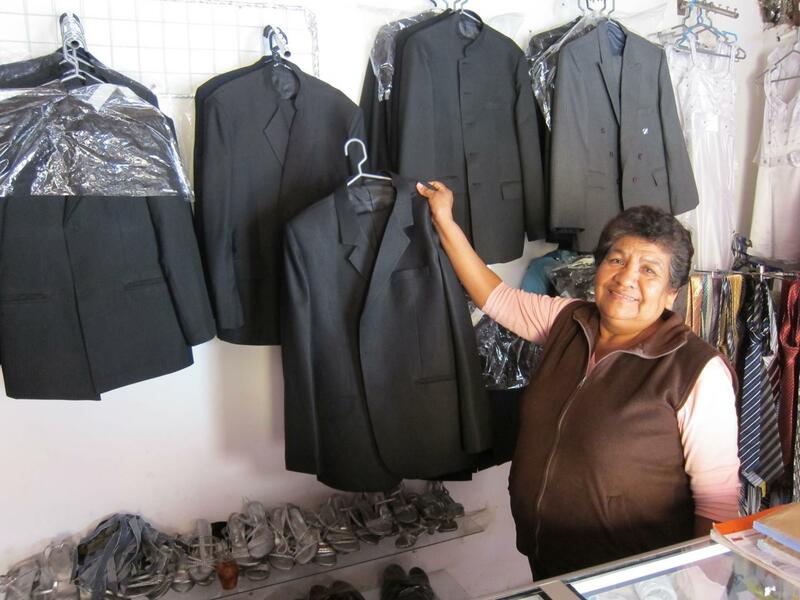 Only a few months ago, Maria was running her business out of her home, renting dresses and suits for all occasions. With her Kiva loan, Maria was able to expand her store and inventory, moving to its current larger, more central location. Maria hopes her store will continue to grow and plans to take out another loan when she finishes the payments on her current loan. With the support of Kiva lenders, Maria has grown her business and remains upbeat about her future prospects. Please consider supporting these entrepreneurs from Peru with Kiva and joining this lending team dedicated to loans from Peru. 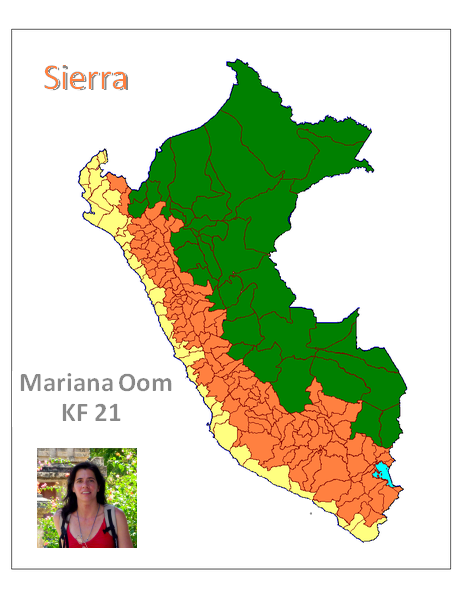 Mariana Oom was a recent Kiva Fellow (KF21) that served in Peru with Asociación Arariwa and with FUNDAPRO in Bolivia. Originally, Mariana is from Lisbon, Portugal and for more than a decade, she has been dedicated to the promotion of Portugal and the Portuguese companies and products around the world. 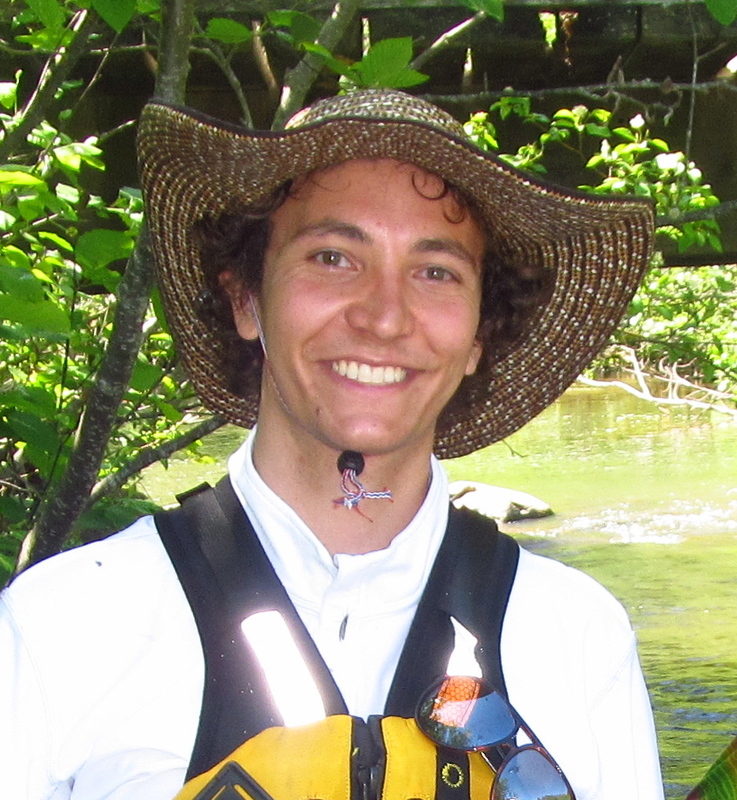 Jeffrey Nelson is a Kiva Fellow (KF20-22) currently serving in Peru with Microfinanzas Prisma and Edpyme Alternativa. His passion for micro-finance and empowering the world's marginalized only continues to grow after his third consecutive fellowship. 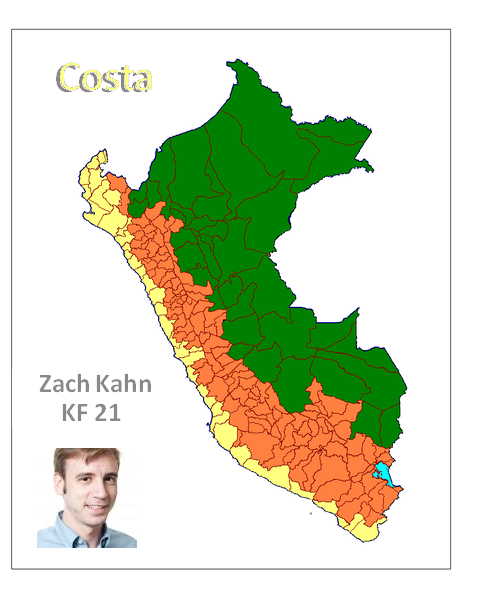 Zach Kahn was a recent Kiva Fellow (KF21) who just returned to New York after fourth months in Peru. He traveled all over the beautiful country and its three regions, collaborating with two field partners: EDAPROSPO (Lima) and Caja Señor de Luren (Ica).